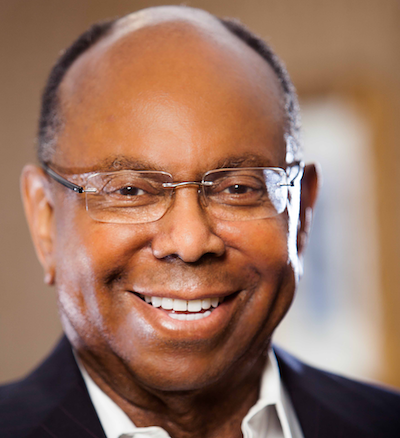 William F. Pickard, PhD is Chairman and Founder of GAA Manufacturing and Supply Chain Management, GAA New Ventures, Co-Managing Partner MGM Grand Detroit Casino, CEO of Bearwood Management McDonald’s and co-owner of five black-owned newspapers. Pickard’s 48-year entrepreneurial career began as a McDonald’s franchisee in Detroit, Michigan. Since its founding in 1989, GAA has generated more than $5 billion dollars in sales with eight plants in the U.S. and Canada, and service corporations such as Boeing, Mercedes Benz, Ford, General Motors, Chrysler, Delphi, Johnson Controls, Starbucks, Home Depot and Merck Pharmaceutical. Corporation, Michigan National Bank, LaSalle Bank, Business Leaders for Michigan, National Urban League, Detroit Symphony Orchestra, Detroit Black Chamber of Commerce and is a life member of Alpha Phi Alpha Fraternity. In 2001, Pickard was awarded Michiganian of the Year for his business success, civic leadership and philanthropy. Pickard was the first Chairman of the African Development Foundation in 1982, appointed by President Ronald Reagan, and under President George Bush he was appointed to The National Advisory Committee on Trade Policy Negotiations (1990) the Federal Home Loan Bank Board-Indianapolis Bank in Indiana (1991). Dr. Pickard is also creating a new generation of entrepreneurs with Millionaire Moves – Seven Proven Principles of Entrepreneurship, vision/attitude, opportunity, relationships, talent/skillset, financial, failure and faith. Dr. Pickard will share his undeniable principles anyone can use to become a successful entrepreneur. Dr. Pickard holds a Bachelor’s Degree from Western Michigan University, a Master's Degree from the University of Michigan and a PhD from The Ohio State University. He has donated over $1M dollars to the National Museum of African American History and Culture in Washington, DC. In honor of Dr. Pickard, The William F. Pickard Living Center is named in his honor at Grand Valley State University. He has donated over $3M dollars to Western Michigan University which was used to build a new facility on campus Hall-Archer-Pickard East and Hall-Archer-Pickard West; $1M to Charles H. Wright Museum of African American History; $100K to Wayne County Community College District in honor of Deborah Green Virgiles and Maurene Brown Smith and $1M to Motown Historical Museum.